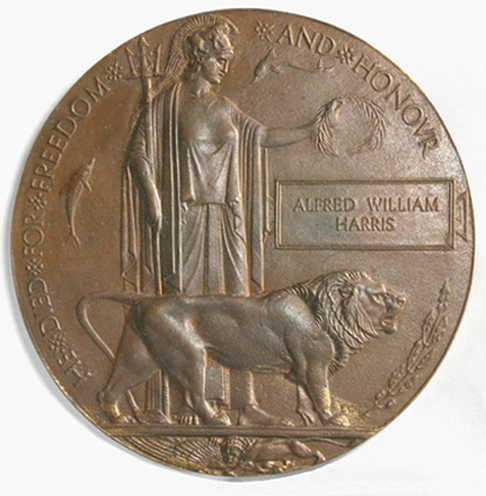 father of Herbert and Ruby Harris. When he was killed Herbert was 2 Ruby was 1. He is buried in the Beersheeba War Cemetery Israel. It is 43 Kilometres south-east of Gaza. 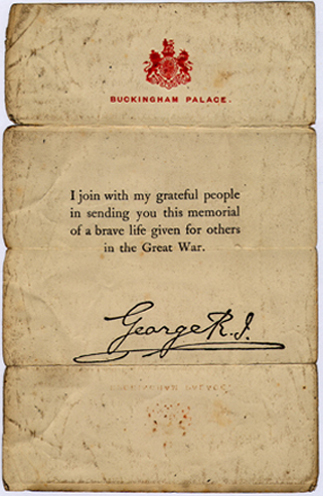 Bottom left the plaque issued to all soldiers who died in the Great War with the accompanying letter from King George the Fifth. husband of A. M. Harris, of 112, Highbury Park, London.